Ruth Cox is a native Californian, and was first introduced to the scientific illustrations of plants and trees by her father Paul, a state forester. Inspired by her interests in horticulture and bay area flora, she began painting at Filoli under the guidance of Catherine Watters, and has since studied with a range of master teachers. 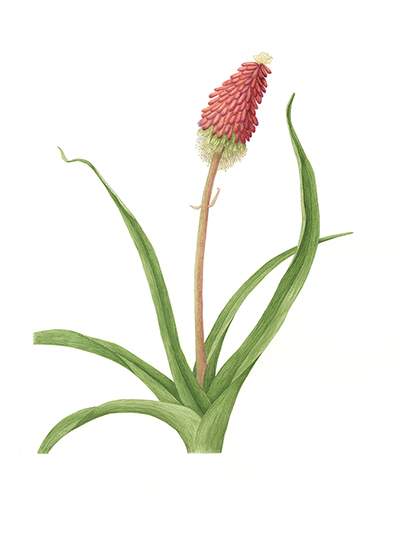 Her artwork has been exhibited in the Gardens of Alcatraz Florilegium (2 pieces below), the Plants Illustrated Exhibition at the UC Berkeley Botanical Gardens, as well as at the American Society of Botanical Artists annual meeting. 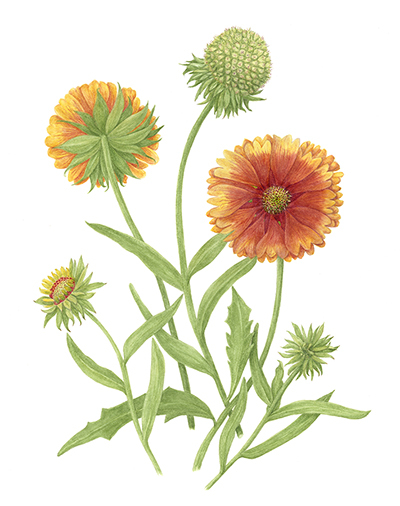 She is a member of the American Society of Botanical Artists, a worldwide organization. Ruth has a Ph.D. in psychology and has also worked as an actress, writer, and educator, teaching for many years in the Masters of Public Health (MPH) Program at San Francisco State. She recently published A Basket of Words—Twenty Years of Writing Together. For more than 30 years she also performed as an actress in theater, film, and television, in productions from Shakespeare to Happy Days.